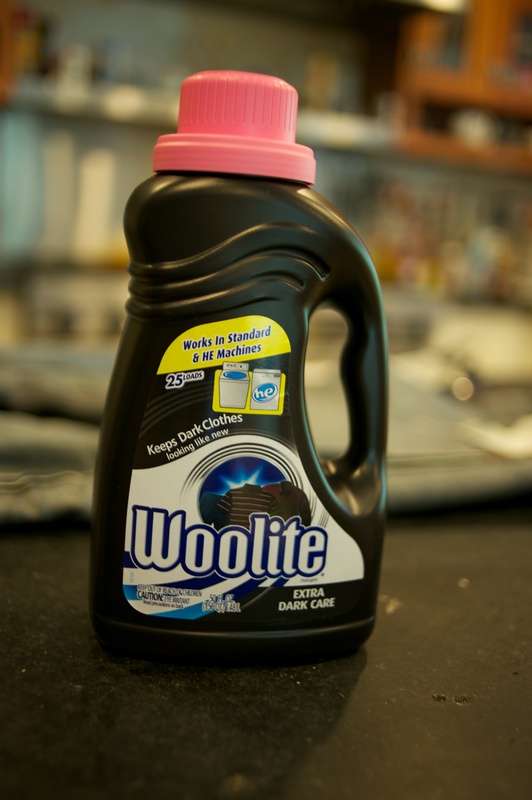 Load up your washing machine with Woolite dark. This is available at most grocery stores. 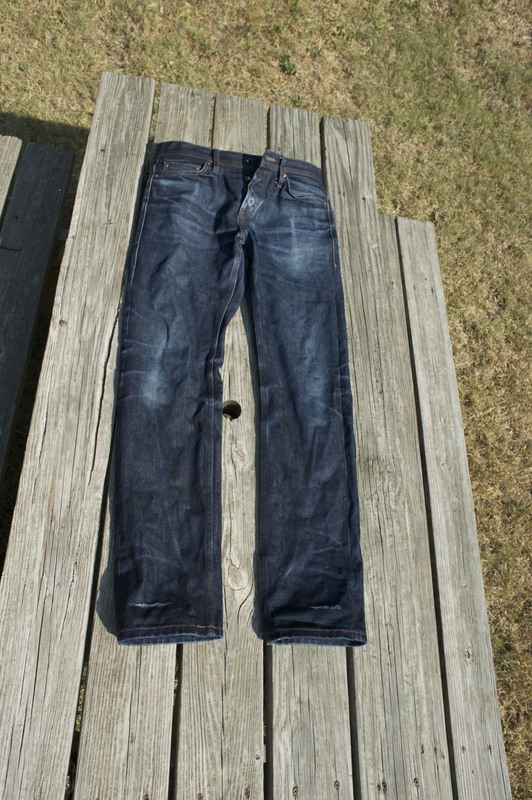 You’ll want to wash the jeans by themselves as the jeans will give up a bit of dye during the wash. When the cycle is done hang them to dry on a clothes line. 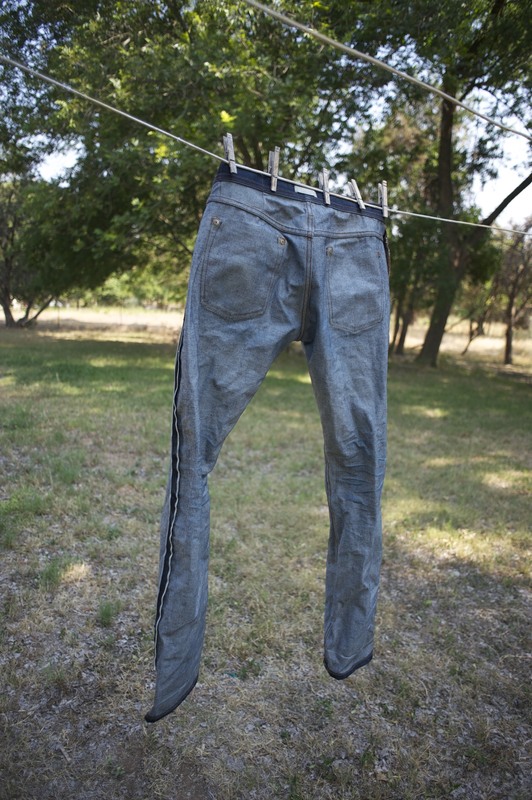 Do not put them in the drier. 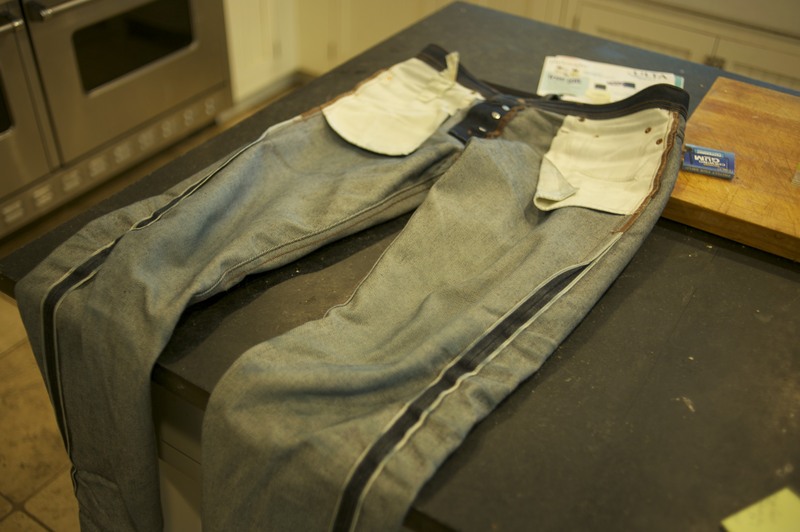 This will cause them to shrink much more than if you air dry them. I did not notice any shrinkage (in the waist or length) and they still look dark. Plus they no longer smell like a jock strap! My goal with this method was to not shrink them at all, as I liked the way they fit. 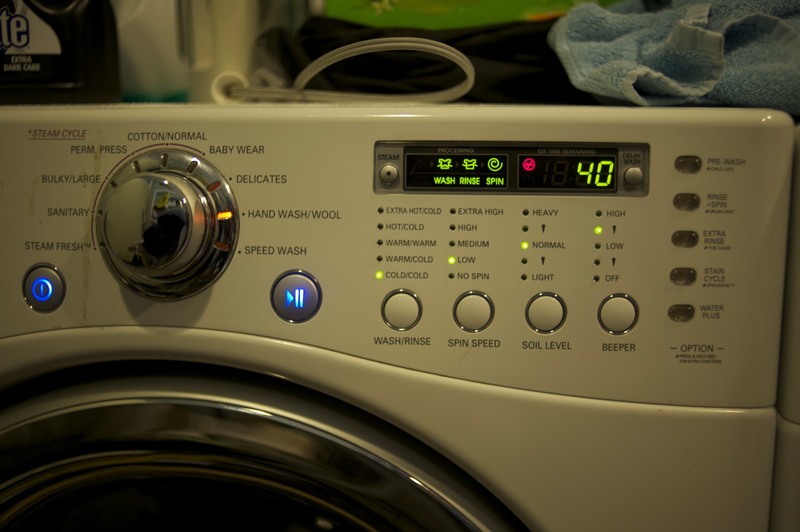 If you are looking for some shrink, wash them in hotter water (maybe start out with warm) and use a drier. 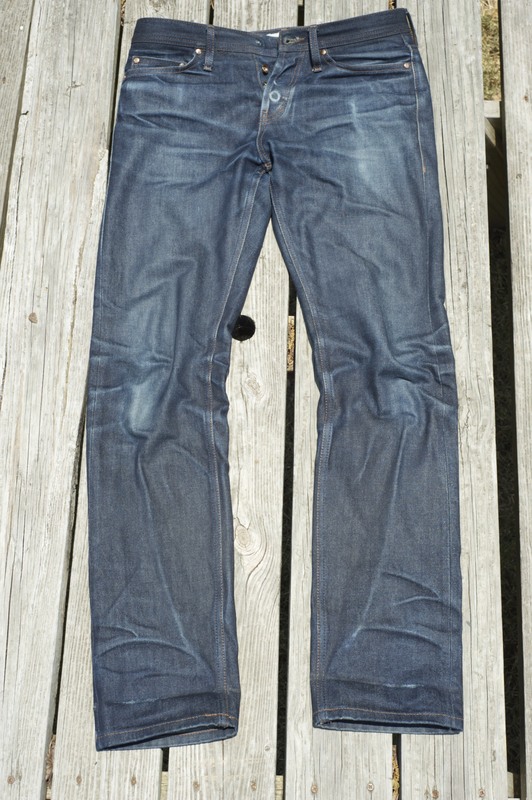 Nice looking jeans! 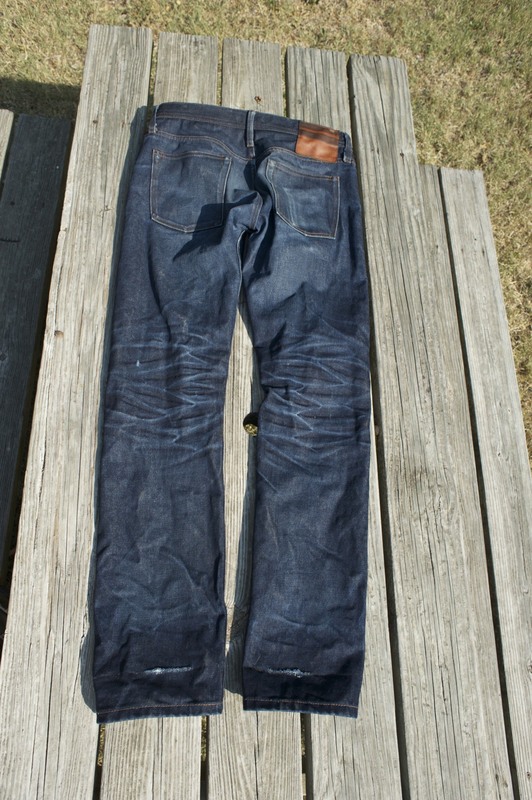 Still, I’m cautious about machine-washing raw denim. 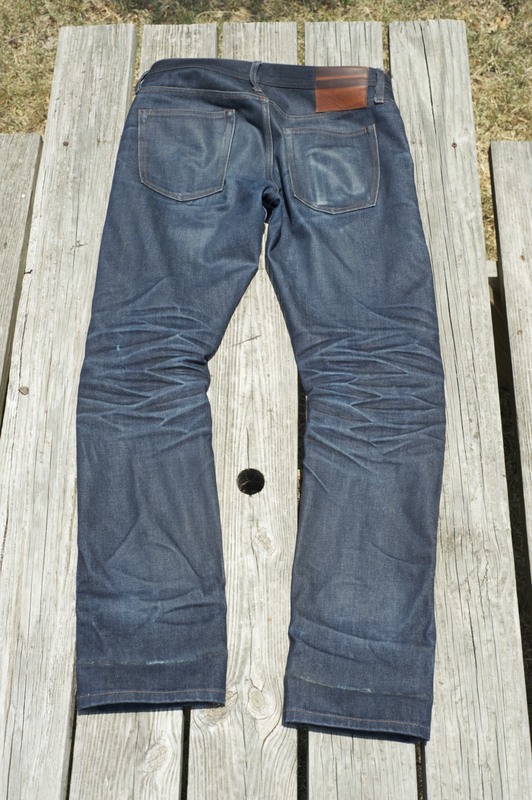 What brand of jeans are they?